Candidates have begun to emerge for a new job overseeing Hackensack's struggling police department, including a pair of well-known law enforcement officials with ties to the city. City Manager Stephen Lo Iacano has declined to reveal the names of any candidates he is considering for the position of police director, the creation of which was aimed at healing divisions that have plagued the 114-member department in recent years. Longtime former chief Charles "Ken" Zisa is currently on house arrest pending an appeal of his five-year sentence on official misconduct and insurance fraud charges. Acting Chief Tomas Padilla, an ally of Zisa's during his time atop the department, is set to retire in February, after which the new director will take over. However, one of the men that will likely be considered for the nod is decorated former city captain Michael Mordaga, who the police union's seven-member executive board has expressed a preference for. "I know Mike, a lot of the guys know Mike. He was a great cop by us," PBA Local #9 President John Herrmann told NJ.com. "We feel that he would be a good fit." Mordaga has a long record of success in law enforcement, with a long and decorated career in the city until 2002, when he left to become chief of detectives in the Bergen County Prosecutor's Office. He has since retired. In a city that has become notorious for corruption and cronyism, however, concerns about Mordaga's connections have already surfaced. He is named in a pair of lawsuits that accuse him of having an inappropriate relationship with former Tenafly resident and Lucchese crime family associate Frank Lagano. Former state department investigator James Sweeney alleged in 2010 that Mordaga and Lagano had both business and personal dealings, and that Mordaga advised Lagano to hire a specific lawyer after he was arrested as part of "Operation Jersey Boyz" - a large 2004 gambling sweep that targeted members of organized crime syndicates. 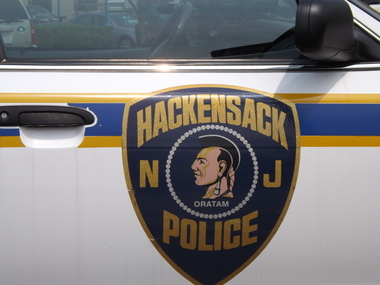 The Hackensack police union's executive board has expressed support for former captain Michael Mordaga to take over as police director. When Lagano declined, the suit alleges that someone in the prosecutor's office leaked information that Lagano was working with Sweeney as an informant. Soon after, in April 2007, Lagano was murdered outside an East Brunswick diner - a case that remains unsolved. Many of the same allegations were repeated in a suit by Lagano's family filed last year, and an investigation by The Record published in December found that Mordaga made numerous phone calls to Lagano throughout his time in the prosecutor's office, many before his arrest in the gambling sweep. Mordaga has denied all accusations of misconduct. Herrmann, who has dedicated his tenure as PBA president to restoring the department's standing in the community, said he was largely unaware of the allegations and declined to comment on them. "Mike's familiar with a lot of the residents, business owners, the clergy. These are all things that we need to rebuild the police department's reputation," he said. "Those positives outweigh anything else." As reported by the Trenton Times in October, another name that has arisen in the rumors surrounding the police director job is Ralph Rivera Jr., a longtime officer with the state police and a former Bergen County undersheriff who now serves as police director in Trenton. Rivera lives in Hackensack, and is in the middle of a term on the city's Housing Authority board. He has been politically active in the past, serving with the Bergen County Democratic Committee as a municipal chairman for Ridgefield Park and a district chairman for the 37th Legislative District. Rivera said in October that he would not seek the job in Hackensack, but has made no public statements on it since then. Lo Iacano is expected to name his choice for the director job sometime later this month.